I'm going to keep this week's round up extra brief this time around, as I'm currently working on my best of 2012 list. Which film will end up top of Kirk's tree this year? Well, you'll just have to check back in a day or two's time, and the answer will be on these pages. Anyway, just a quick nod to a few films which I enjoyed over the last seven days. First of all, The Muppets, which I was very taken with the first time I saw it, but for me, it didn't quite reach the same heights the second time around. Don't get me wrong, it's still a very fun movie, with some fine songs from Bret McKenzie of Flight of the Conchords, but I was probably being a tad overgenerous when I awarded it a '9' out of 10. Secondly, What Ever Happened to Baby Jane?, a classic melodrama and horror film from the '60s, in which director Robert Aldrich made the inspired decision to cast real life enemies Better Davis and Joan Crawford as a pair of has-been movie star sisters, cooped up together in a crumbling mansion. It plays out as a cross between Misery and Sunset Boulevard, a brilliantly grotesque portrayal of the damaging effects of child stardom. 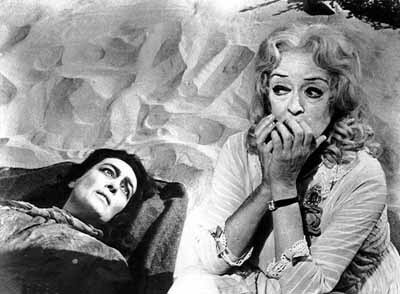 Though both of the leads give excellent performances, Bette Davis steals the show with her wildly excessive turn as the ghoulish Baby Jane Hudson. Finally, I should also mention that I saw Lawrence of Arabia for the first time this week. Clocking in at a wearying three hours and forty odd minutes, I think it may be the longest film that I've ever watched. It's not really the sort of picture that I'd normally go in for - I've never been the biggest fan of epics or War films (other than Max Fischer productions set during 'Nam) - but I could appreciate the fine acting of Peter O'Toole as T.E. 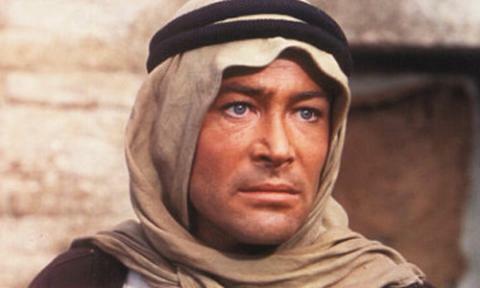 Lawrence and some of the composition of the desert scenes was stunning. 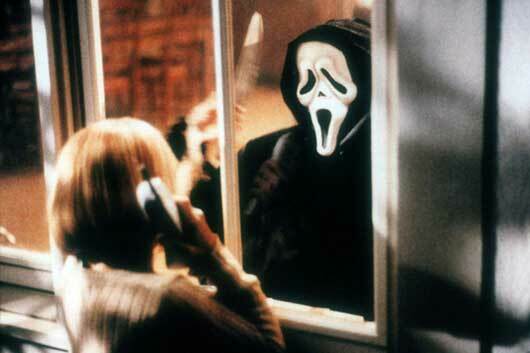 Ghostface: Never say 'who's there?' Don't you watch scary movies? It's a death wish. You might as well come out to investigate a strange noise or something..."